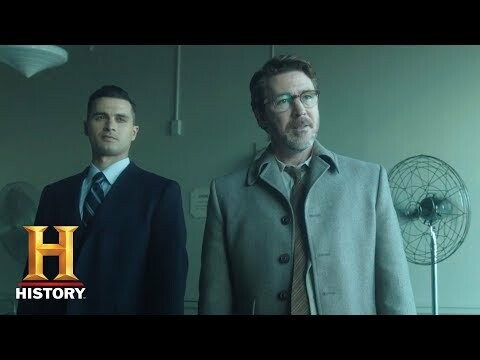 HISTORY's new UFO drama series "Project Blue Book" makes its series debut on Tuesday, January 8, 2019 at 10 PM ET/PT. From A+E Studios and executive produced by Academy Award and Golden Globe(R) winner Robert Zemeckis (Forrest Gump, Back to the Future, Contact), the ten episode drama series is based on the true, Top Secret investigations into Unidentified Flying Objects (UFOs) and related phenomena conducted by the United States Air Force from 1952-1969 and stars Aidan Gillen ("Game of Thrones") and Michael Malarkey ("The Vampire Diaries"). Project Blue Book Season 1 was released on Blu-ray 14d ago in the US.